Kolkata, its not just a place on the map of India, but a place of thriving literature, from its literary style to its tactful debates, from being a city full of sweetness to being a city full of its expressive nature, the city of art and culture to the city of our freedom struggle and it’s beginning. All’s there in this city of Goddess Durga. Once you’re in the city you get captured by its beauty and somehow it feels like your own. A certain power flows in the veins of this place that courses through your body, the power of education and art, the heavenly feeling of walking through its streets or just walking along its Ganga ghat, all the lyrical poets and culturally rich people from Shanti-Niketan to the highly qualified lawyers, doctors, and engineers. It’s all in the earth of this place, settled and rooted deep into the hearts of the people. As it is remarkably well said, the path to your heart goes through your stomach, it’s apt for this place. Kolkata is known for its sweetest distinct taste and variety in food and sweets that are mouthwatering and simultaneously leaves you astonished about its making, preparation just the same. There are heart and soul of the Bengali folks in its food, from the whole variety of street snacks to the top level main course will make anyone get on their knees and ask for more, bit never be enough. 1) Shorshe Ilish- Ilish Maach being one of the most vital and tastiest of all fishes in the wide range of Bengali fish. This dish is always at the top of their lists and, prefer to have the fish in this way itself, cooked with lovely mustard to absolute perfection, this lightly spiced fish brings out a certain kind of vibrancy among your taste buds. Sure to be your, all time favorite, though do learn the particular method of having this certain fish according to the Bengalis, widely said that it makes the taste all the more alluring. 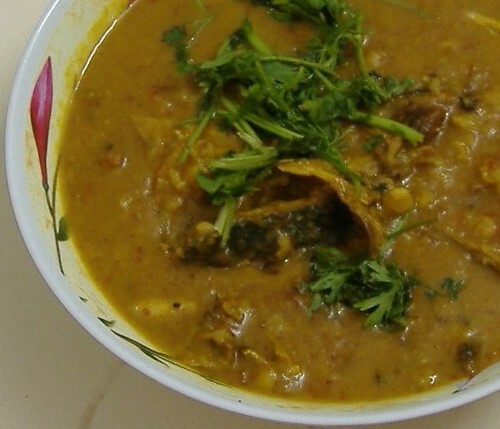 2) Macher Matha Diye Moong Dal- cooked with split green gram lentil and fish head, it’s an absolute delicacy among all other dishes for Bengalis. It is not just a dish to eat and savor but also an added bonus of good health in the form that, eating fish brain profits the human brain and increases intelligence. Do have this one alongside steaming hot rice /Bhat. 3) Muri Ghonto- very much similar to our biriyani, Muri Ghonto is one of the special most traditional and very widely popular Bengali recipe, all that prepared using the head of fish and rice, only. With the assortment of added spices to the mix it’s an absolute take away from this land of distinct spices. Definitely mouth watering, isn’t it. 4) Chingri Macher Malaikari- this one is definitely a must have dish while you’re in Kolkata as nothing better than its traditional distinctive Malaikari. 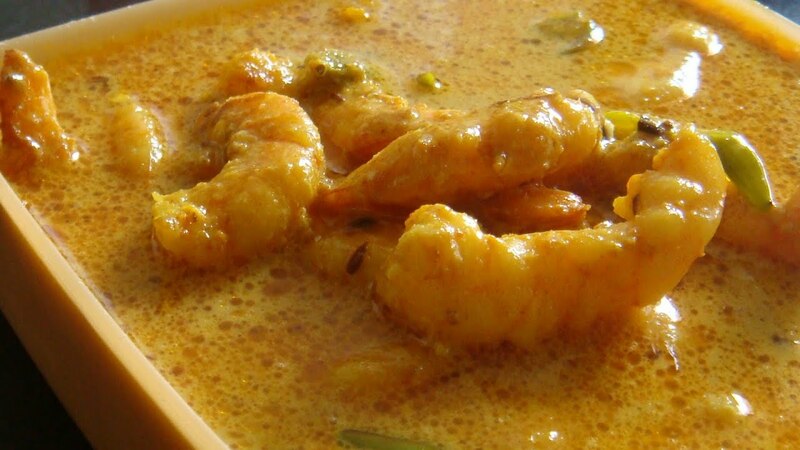 With its creamy texture, thanks to the combination of cream and coconut milk as well as the prawns cooked to perfection yet being soft and juicy all in and out, with its every bite. You can savor this dish for the whole day and yet not get enough of it. 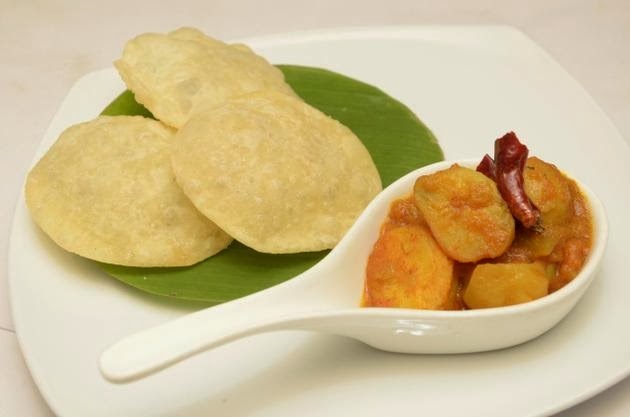 5) Luchi Alur Dum- a very different approach to our desi Puri bhaji, this one is similar but with its own added twist, a perfect breakfast delicacy. The dish’s lightly spiced Alu dum and perfectly fried maida’s luchis are an out if the world combination. You can’t miss out on this! 6) Bhetki Macher Paturi- well Kolkata has a lot of variety in their dishes, add to that mix a perfect fit for those health freaks with a guilty pleasure for tasty food. Here’s to all those freaks then, want some guilt free yet tasty food, here you go with this dish of the fish coated in mustard, all wrapped in banana leaves to be steamed to perfection, absolutely low on oil and definitely tasty. 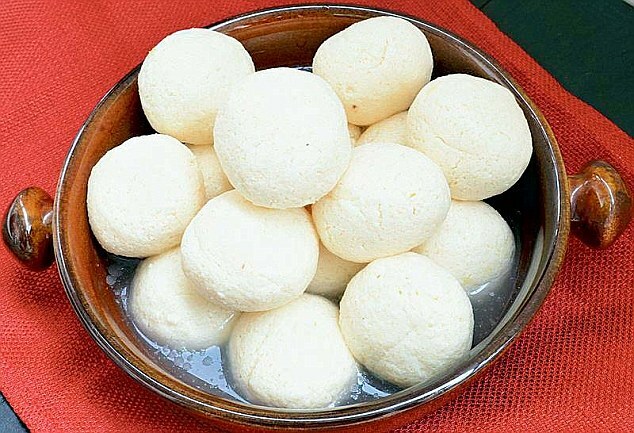 7) Rosogulla- all endings should have a beautiful reward, well so does your appetite, here’s a desert that you can never resist no matter what, it’s the iconic sweet dish of Kolkata, the Rosogulla. Soft as well as spongy cottage cheese balls soaked in a light and mildly brewed sugar syrup, that just melts in the mouth. This one has made history! Never miss the opportunity to make the best out of your tour to this place, its magnificent tastes and variety are calling out to you, so if not anything else do visit Kolkata for its richness in food!